Ares Project is one of the leading Kodi repo’s that’s been around for quite a while. Although it has faced problems with legal purposes, it is back. This all-in-one Kodi tool with everything from the best Kodi Builds to Add-ons and much, much more. What are the Ares Wizard Features? 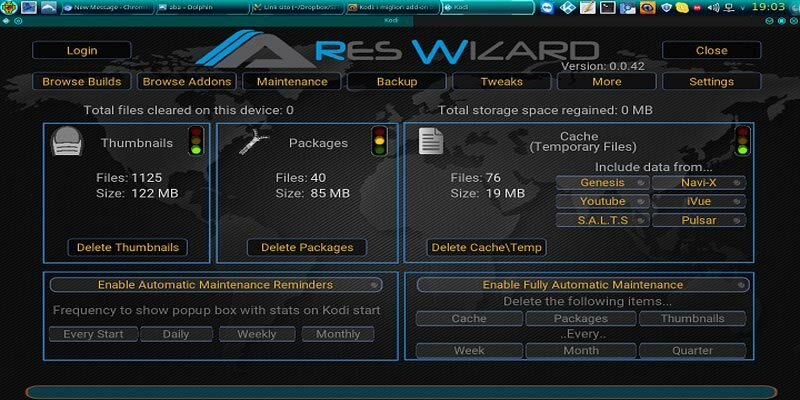 Ares Wizard has plenty of features, many of which are for tweaking and maintaining your Kodi so it can run at its most optimum. All this is achieved from a click or two rather than users delving into settings and doing things one by one. Make Backups – Kodi users can now create backups of Trakt and Real Debrid accounts. This feature retains your data. If you update or re-install the Ares build Kodi, your data will be safe from corruption. Tweaks – The new tweaking feature allows you to clear your Kodi cache in one click. You can also patch the Ares Wizard URL or other URLs for add-on providers. URL patching and cache clearing aid in improving the overall streaming quality and speed of streams. Settings – There is a new more comprehensive settings menu, it allows users to filter content while checking for any new Wizard build updates, and the ability to change device configurations. The easy solution to install Ares wizard is as follows. Remember this method will for downloading the add-on for Kodi Krypton 17.5 and other versions of Kodi including 17.4. Navigate to the Add-ons section. Head to the Ares Repo where you downloaded from in the first step. You should find the repo in the Downloads folder. It’s possible to download the Ares zip file using the following Ares Repo URL: http://ares-repo.eu. Navigate to the Repo. Wait for the add-on Enabled notification of Ares Project Repo to show. Once you see the enabled notification, you can start using it on Kodi Krypton. Navigate to Install from Repository in the add-ons section. Open the Ares Project Repo. Select the Ares Repo, you’ll see other program add-ons there. Select the Ares Wizard option. Wait again for the add-on Enabled notification of Ares Wizard to be shown. When you see the Ares add-on enabled notification, you can now use your Kodi Player. The first time opening Ares Wizard, there will be several files installed. Once the process is completed, Ares Wizard Kodi will open. These steps work for the PC, Mac and also the FireStick. On occasions, you might find errors, or Ares Wizard not working. Many of these can be because of the shutdown which happened to the Ares repo. Alternative URLs for Ares Wizard download are http://areswizard.co.uk/ and http://ares-repo.eu. 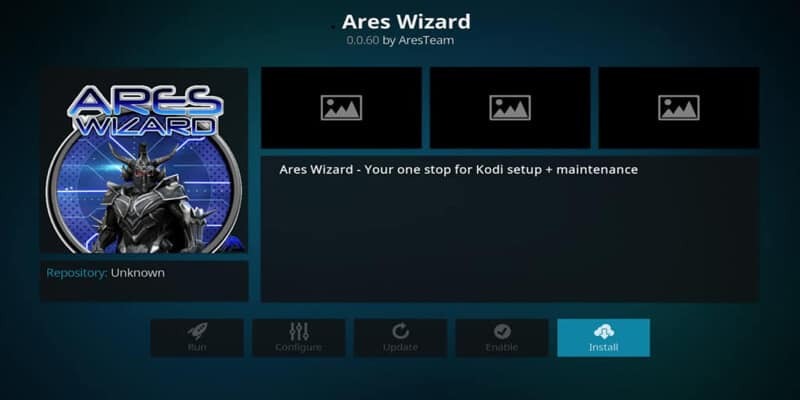 The Ares Kodi set-up wizard now only adds a tool for maintenance and tweaking, and the options for downloading builds and more add-ons are greyed out. It should be highlighted again, the latest Ares wizard which is currently at version .69 doesn’t offer any add-ons, it is purely a maintenance and tweaking tool. As Ares Wizard was taken down, and now only offers tweaking tools, you might be thinking there is no need to use a VPN. For this wonderful add-on, it might be true, but just because Ares Wizard or the Ares Repo doesn’t deliver any streaming content, it’s not to say you don’t need a VPN. You will be using other streaming add-ons, so this is where you will still be in a vulnerable situation. Even before making an Ares download, you should be protected by a VPN, and here’s why. ISP’s in Australia keep tabs on your browsing habits. This doesn’t even matter what device you are using. Anything which leaves your home or device which they can track back to you goes to build up a massive profile. With metadata laws saying data retention is 2-years, this is a hell of a lot of information about you and your family. Not only that. ISP’s are well known to throttle connections for content streamers. Even a YouTube browsing session can affect the speed of your connection. VPN’s will mask your connection and encrypt all of your information. Thus, you can carry on streaming, or even torrenting and your ISP won’t have anything to record apart from maybe the amount of bandwidth used. Because they can’t see you are streaming, their systems won’t throttle your connection, so, you will have full speed all the time. Many VPN’s are similar in what they offer, however, many are very different in what they deliver to customers. From dismal customer support, slow connection speeds to false zero logging claims. It can be a hit or miss affair if you can get the best VPN for use in Australia. On top of all this, there is device support, not every Australian Kodi user uses a PC or a MAC. A good VPN for FireStick, for example, would have a client, and allow a free Kodi TV download from the Amazon store. The top of the bunch can include the likes of Cyberghost and NordVPN which are two of the largest names in VPN’s. Both could be a decent choice if you didn’t want to do too much streaming. Their package has IP, and DNS leaks, a very suspect logging policy with broken features and they can’t access a lot of geo-blocked content services (BBC iPlayer or US Netflix on occasion). The best VPN for Australia, for Kodi users, or for anyone who values their privacy is none of the three mentioned. 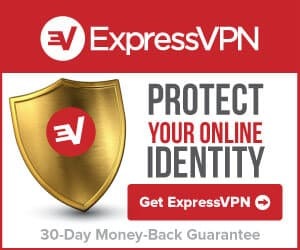 ExpressVPN is where any Kodi fan should be heading before they use Ares Wizard or any other add-ons.